Beyer Carpet Cleaning is in full swing for the summer season. Summer time means clean carpets for family and friends to sleep on, fresh upholstery to lounge around on, and great looking tile in your kitchen to admire while enjoying a family dinner. Summer means relaxing without worries and knowing that everything is taken care of so let Beyer Carpet Cleaning take care of your carpet cleaning, tile and grout cleaning, and upholstery cleaning needs. Beyer Carpet Cleaning always recommends their best service for each carpet cleaning. This includes a steam clean, vacuum, pre-spray, and deodorizer. The reason why they recommend this service is because they can guarantee to remove 95% of spots or stains from your carpet. This includes drink spills, food stains, and traffic stains. Your carpets will look like new! If you have kids, pets, or frequent guests this is the package you want. This package starts at $99.99 which is an unbelievable price and at which you can get 3 rooms and a hall cleaned. It’s a deal that no other carpet cleaning company in San Antonio can offer. 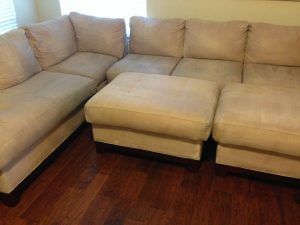 Not to mention that their upholstery cleaning automatically comes with their best service and for $99.99 you can have your couch and love seat cleaned or sectional. This is a banging deal for upholstery cleaning. 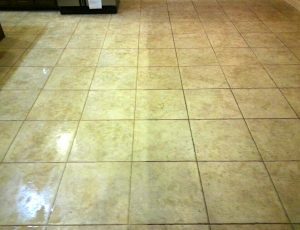 If you have tile and grout cleaning stating at $99.99 you can have up to 200 square feet professionally cleaned. Anything square footage over 200 is only $0.50 per square foot. No one else in San Antonio offers this great of a price for tile and grout cleaning. No matter what you need Beyer Carpet Cleaning has you covered. They are quick and efficient. To schedule an appointment all you have to do is email or call and they can schedule you right away. No holding for 15-20 minutes or calling different numbers to get the scheduling department. Just call (210)723-4392 and they will be happy to answer questions and schedule your carpet cleaning on the spot. You will be schedule for an appointment with a 2 hour waiting window. They give a 2 hour window because they don’t want you guessing when they will arrive or want you waiting all day for them to show up. In most cases their technicians can arrive earlier and/or within the first hour of your window. Their technicians will call and let you know they are on their way so you can be ready for their arrival. The average time it takes for a home to be cleaned is 2 hours. This is impeccable timing and can’t be beat! Their technicians are knowledgable and are always prepared to tackle any job. Their work vans are always fully stocked so their is no “well we have to come back at a later time”. They can take care of any cleaning need on sight. 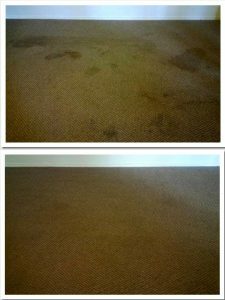 Beyer Carpet Cleaning is known for being able to take the impossible such as red stains. Red stains tend to dye the carpet and most people think it will never come out so they’ll just have to live with it but not when you use Beyer Carpet Cleaning. They have the secret solution to remove red stains and have a 99% success rate when it comes to red stain removal. Beyer Carpet Cleaning moves quick so you can get back to your normal routine. No one wants to wait hours for a plumber, cable guy, or any service person to arrive just so they can take up more time to complete the job. Time is something you can never get back so Beyer Carpet Cleaning wants to work efficiently for the best interest of their customers. 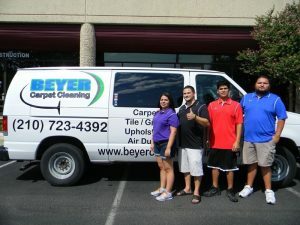 Beyer Carpet Cleaning also works late in the evening so they are able to fit just about everyones schedule. Whatever is most convenient for you Beyer Carpet Cleaning is willing to work with you. Being a family owned and operated company means they have more wiggle room to work with customers so that they are satisfied and are willing to use Beyer Carpet Cleaning for all their cleaning needs. Family owned also means that they can pass along the savings to their customers and keep their prices well below the leading competitors. Larger competitors have larger overhead costs so their prices mean you will pay more for less. With Beyer Carpet Cleaning you will always pay less for more.